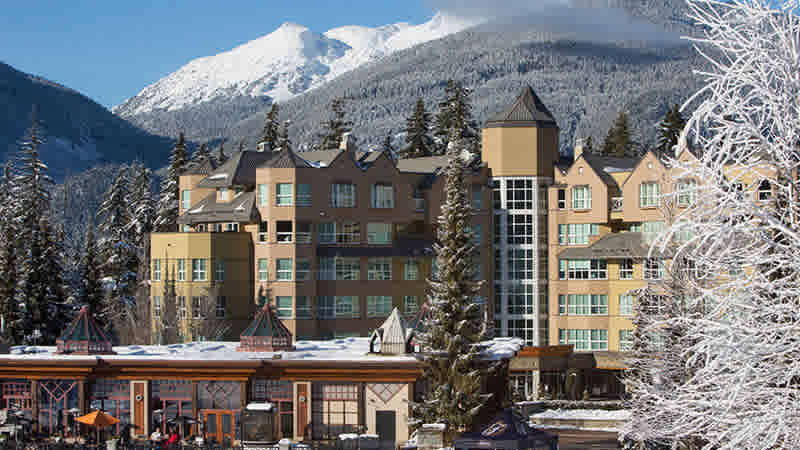 Le Chamois is located at the base of Blackcomb Mountain and features breathtaking scenic views from spacious suites. Located in the heart of the Upper Village and only steps to the Blackcomb Mountain lifts, this ski-in/ski-out property is within walking distance to ski school, a number of shops and restaurants and nightly entertainment. Studio: Studios feature a queen bed, convenience kitchen, two-person Jetted Jacuzzi bath in the living area and complimentary wireless internet. One Bedroom : One bedroom suites feature a queen bed, convenience kitchen, sofa bed in the living area and complimentary wireless internet. Two Bedroom: Two bedrooms offer fully equipped kitchens. Various bed configurations. Two bathrooms.